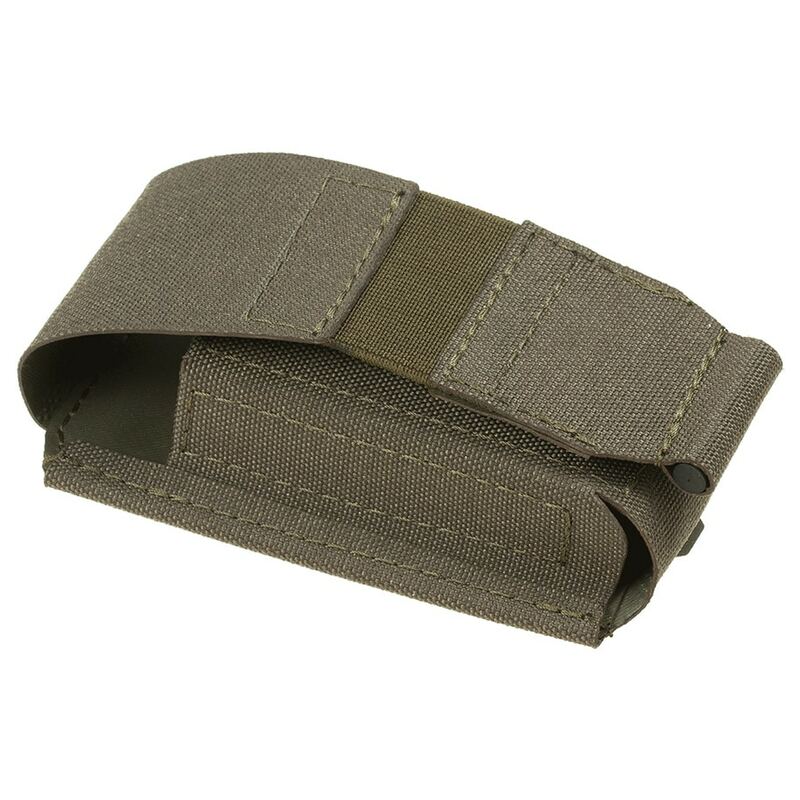 Magpouch, available in Green and Tan. Custom designed for the SSG24 magazines. 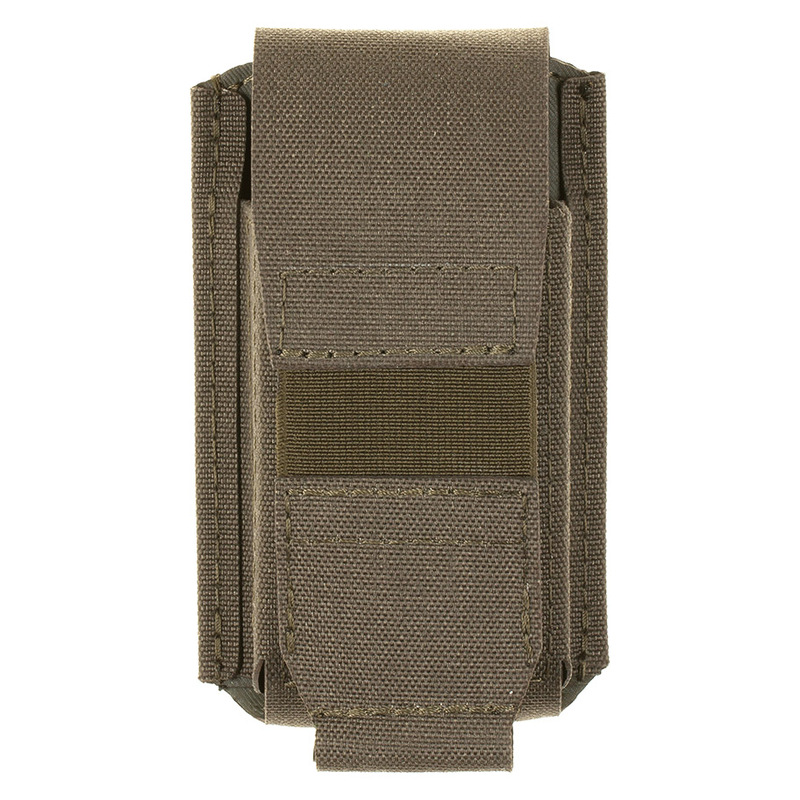 With the standard MOLLE loops on it's back, this magpouch can be mounted to any MOLLE platform. 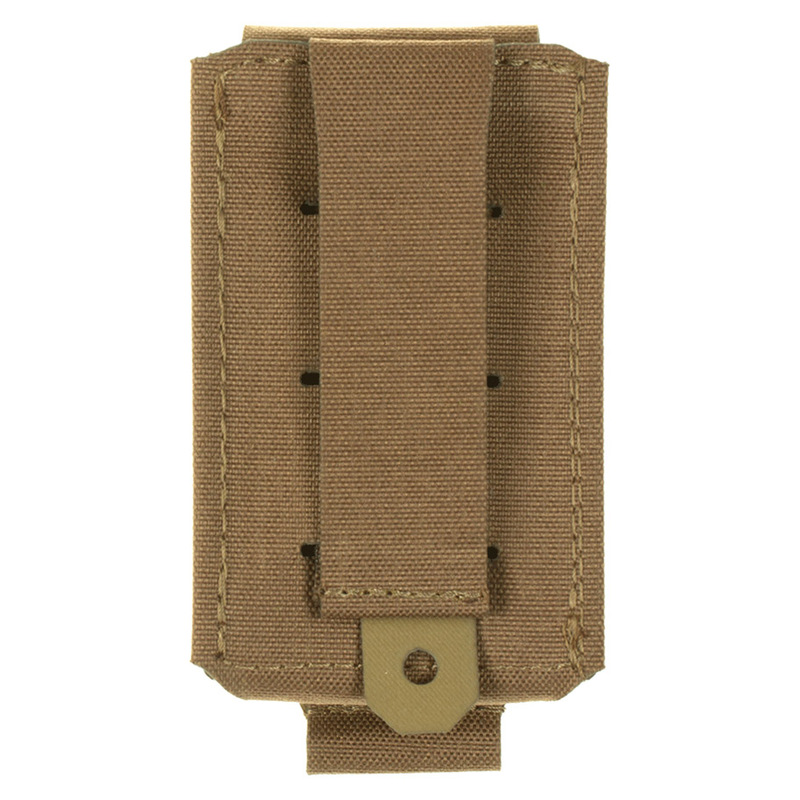 It's designed around the SSG24 magazine - so it's a very tight fit that only uses up as little space as needed on your gear. 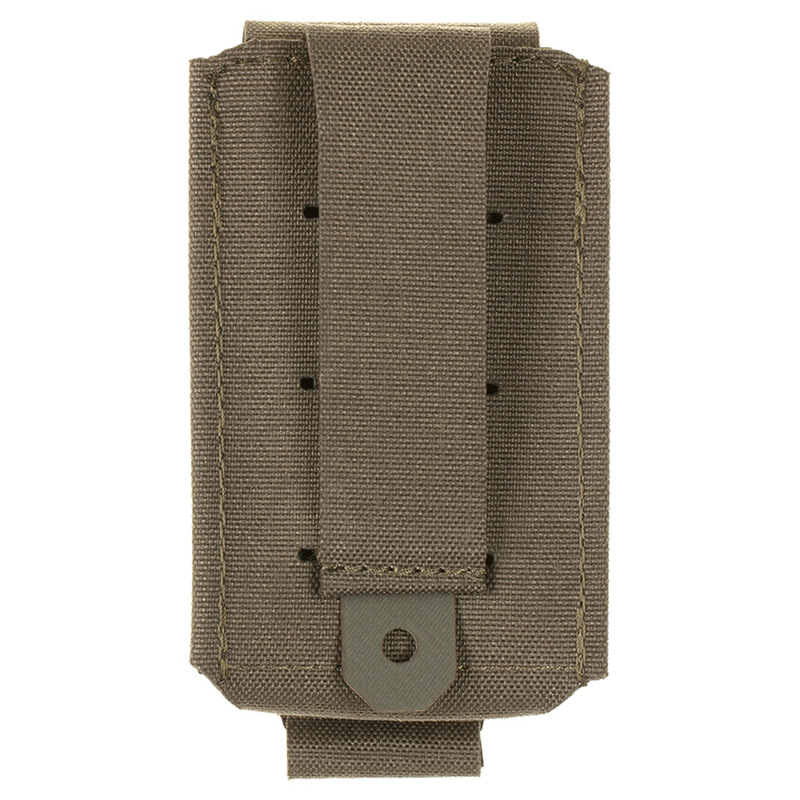 The elastic material makes sure that the metal hook keeps the magpouch closed. The flap must be pulled down to open the pouch. There's no noise created when opening or closing the flap.